Crofton, MD - Rain is in the area for the weekend and the folks at Capitol Raceway and LCP are in the process of a reschedule. Please stay tuned to DRR for more info. 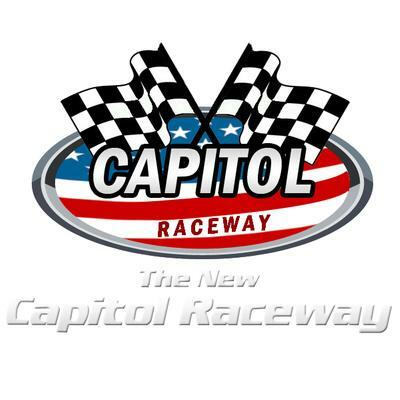 Crofton, MD - Capitol Raceway will be closed August 4th-9th, for the track resurfacing project. If all goes as planned the track will reopen on August 10th and resume their regular test-n-tune night that Friday as well as their Super Saturday bracket program. 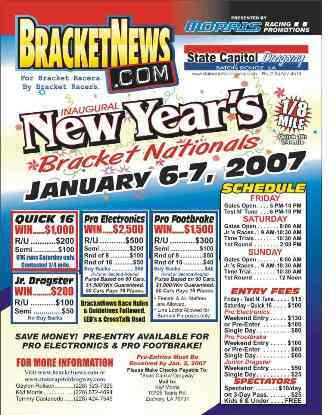 BracketNews New Years Bracket Nationals Posponed to Jan. 19-21. 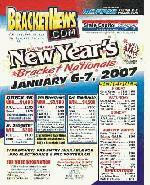 Baton Rouge, LA - BracketNews New Years Bracket Nationals Posponed to Jan. 19-21.